This has happened to just about every engineer who has ever programmed in LabVIEW, including me! Fortunately, it doesn't have to end up this way. There are a lot of simple programming practices and tools that can help. Spoiler, the solution is not to buy a 49" ultra widescreen monitor (although, that would be cool). 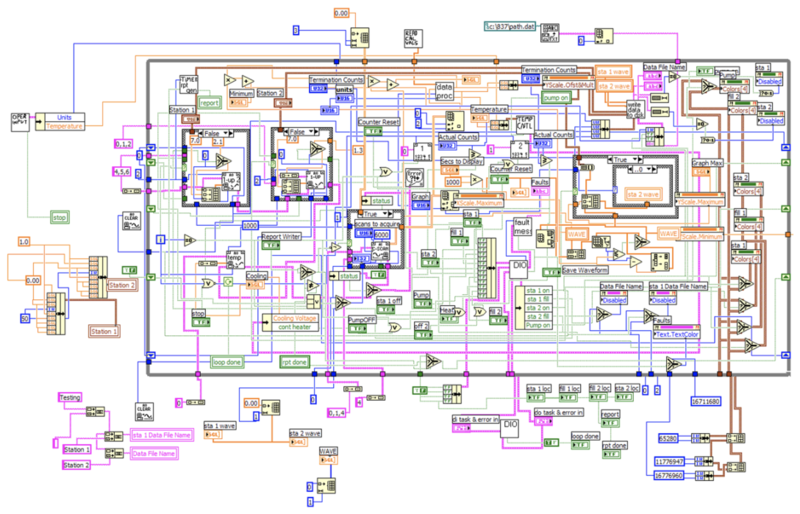 So, how does a simple LabVIEW VI turn into a tangled mess spaghetti code? You’re in the lab or out on the factory floor, and you need to get some work done. Maybe you have to acquire some data from an instrument and plot it to a graph. So, you create a new VI and drop your instrument’s Acquire.vi onto the block diagram and wire it up to a graph. You need to add some more features to the code (obviously). It’s working pretty well, so now it needs to work like a “real” application. You wrap all the code inside big While Loop so that it will keep going, continuously. You add some initialization and some shutdown code. Congratulations, you’ve got a “real” application! Of course, you need more features and functionality. Your basic system is running well, so now you write a simple control algorithm or data processing routine that executes while the main loop is running -- you want to see how these controls affects the acquired data. Your experiment is up and running! And, even more functionality is needed. 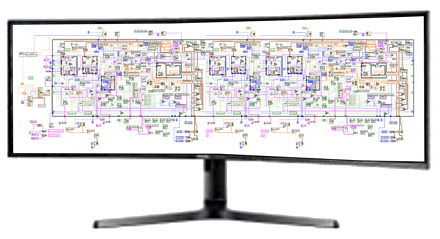 Your block diagram has grown too big to fit on your screen -- in fact it wouldn’t fit onto two screens (or maybe even four). 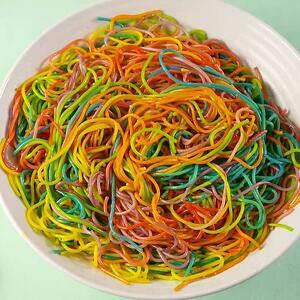 You realize that the wires of your LabVIEW code are starting to resemble a plate of rainbow spaghetti. You wonder, how do I fix this? So, you try to clean up the code. You create local variables to clean up the wire. However, now it seems that this has introduced odd behaviors (due to race conditions) with the executing code, because the execution flow (of data) has changed. To make matters worse, the code is impossible to debug, because it doesn’t fit on one screen and wires are going every which way. But, maybe you’re in too deep. You finally realize (or accept) that it’s time to write some “real code”. You’ve heard that “software engineering” is a good thing. You’ve heard other LabVIEW developers talk about “frameworks” and “templates”, but you haven’t had time to learn about all that stuff. You’ve got a system to design and control. You’ve got data to collect and experiments to run. If this story sounds familiar, you’re not alone. This is a typical progression of how LabVIEW makes it easy for engineers to write code quickly, that’s hard to maintain. However, it’s not LabVIEW’s fault, nor is it the fault of the engineer. This happened because good guides were needed, within which to develop the application. Click here to read part 2 of this post titled "Avoiding Spaghetti Code in LabVIEW," in which I share some simple best practices, tools, and techniques that will help you avoid these problems. If you follow these, your new VIs are more likely to scale gracefully (and quickly) over time, and you'll end up creating more professional quality software that works just the way you want (and need). PS: I’m interested to hear about how *you* have solved these challenges (and whether my description of the problem rings true). You can message me on twitter @jimkring.